Suzanne's Tribe: Not sure where that week went! Not sure where that week went! 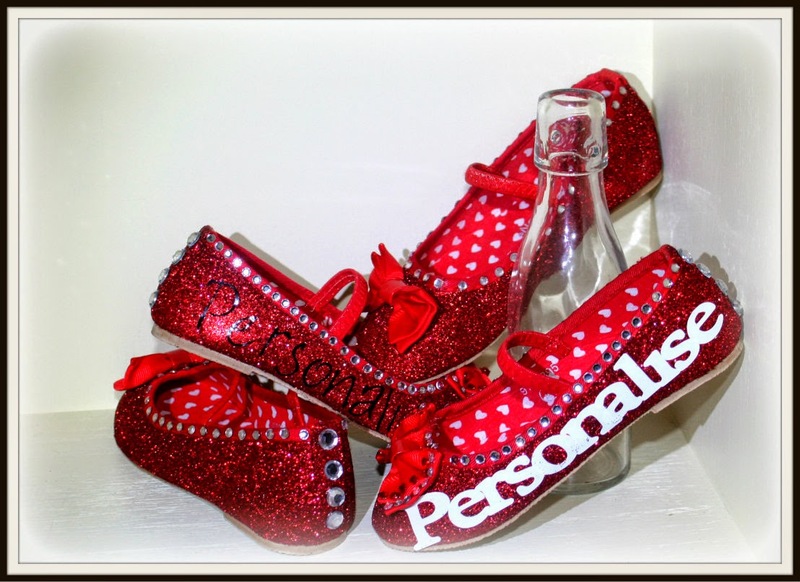 Firstly, so, so proud of my two newest shoe designs. First time I have decorated childrens' footwear and I'm super pleased with how they turned out. 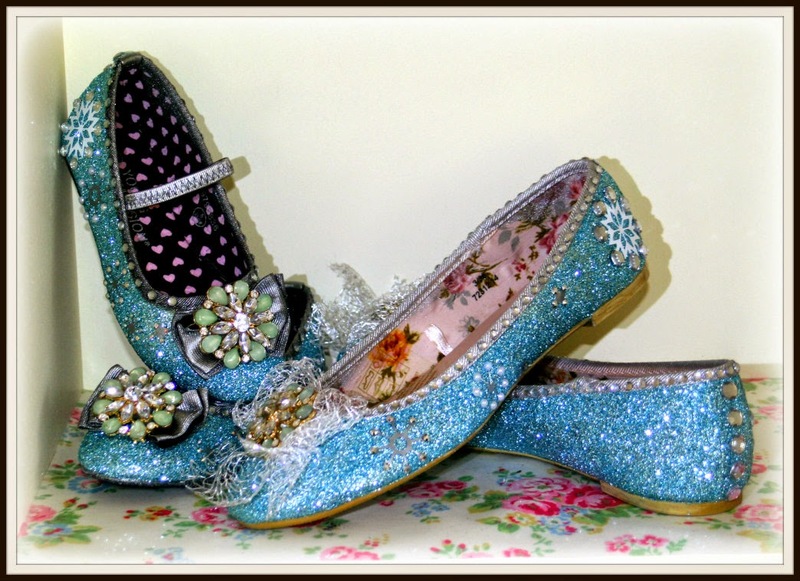 The first are a beautiful blue, with snowflakes, glitter, bling and sparkle. 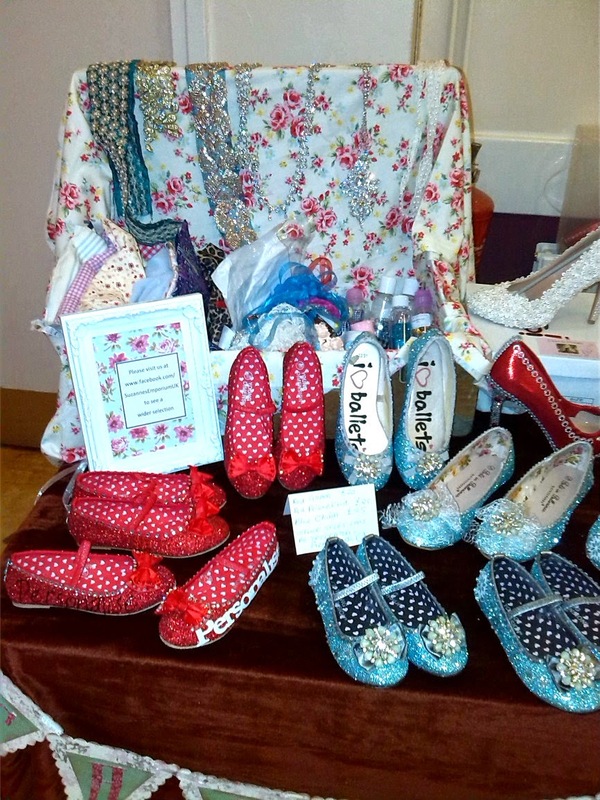 So busy week preparing these - and other - shoes in readiness for a charity event. It's a shame the bunting isn't clear, I handmade it and it looks really shabby chic. 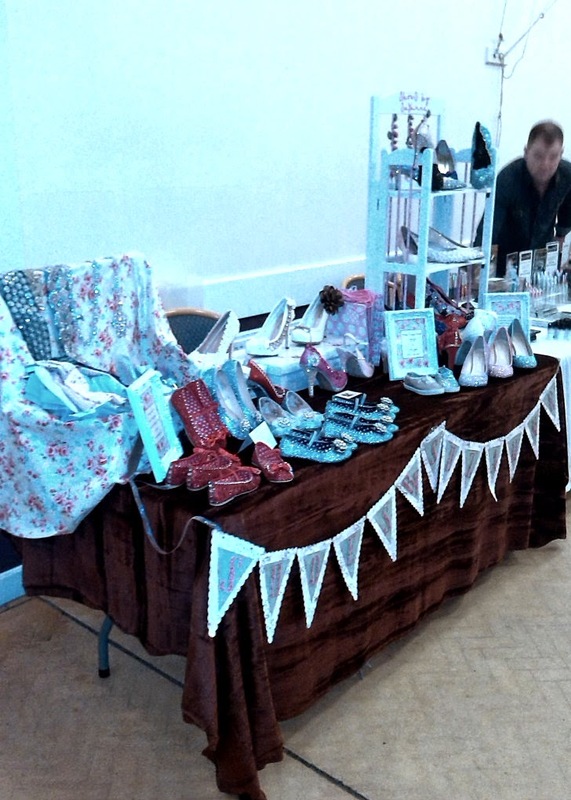 I am glad I did the fair as it was like a trial run for a wedding fair I'm attending in a couple of weeks. Helped me to see what I needed to change/add before then. Went to Liverpool and back Monday to visit a good friend who's little girl is poorly in Alder Hey. Drove to Southend and back to give Mum a lift to see her friends. I still do not like the car park also known as the M25! Ella has been to respite. Have been to watch Benjamin play in 3 football matches, moving teams was the right move for him. I've attended two webinar courses online regarding setting up a business. I know I've run my own businesses in the past, but thought refreshers couldn't hurt. Chinese meal with Jeff's workmates and partners. Online 'Exploring Play' course coming along well - enjoying it! The lovely Lydia and me went to Holme Grange for a coffee. Phew! What a hectic 2 weeks! The shoes are beautiful and a steal at 25 pounds. Good luck with your next show; I have one coming up too. Not at all looking forward to it. I'm tired just reading about your two weeks!